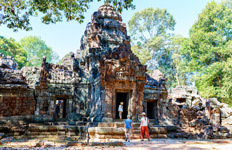 Cambodia is home to Angkor, the region’s premier archaeological attraction and once the world’s greatest city with over one million inhabitants. 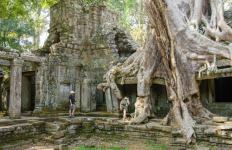 Formerly a French colony and recently suffering genocide under the Khmer Rouge, the country has a turbulent history. 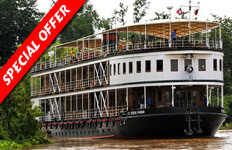 A Cambodia Holiday Package offers eye-catching vistas with lush terraced valleys, mighty rivers, diverse wildlife and jungle shrouded ruins. With powder white beaches, turquoise ocean and hundreds of small islands to explore, Cambodia’s coastline offers a multitude of beach pursuits including world class diving. 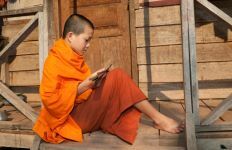 You'll find Cambodia’s warm and welcoming people inhabiting traditional hill tribe villages, rural towns and the capital city. 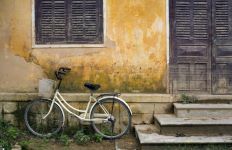 Phnom Penh with its mix of French and Cambodian architecture offers a tree lined riverfront, Parisian-style cafes, and modern shopping boulevards. 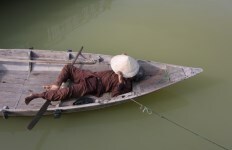 Enjoy Private tours to the Royal Palace and the Sliver Pagoda, or sample Cambodian cuisine with a glass of French wine whilst overlooking the confluence of the Mekong, Tonle Sap and Bassac rivers. 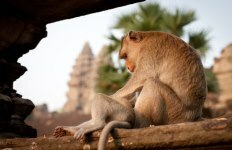 Closed to Tourism for many years, Cambodia is now one of Asia’s premier destinations, and a GetAboutAsia favourite! 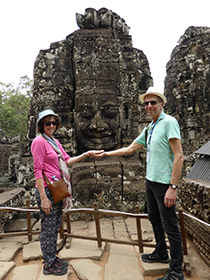 For an authentic Cambodia holiday experience with your own private local guide in each location and travelling in comfort and style, experience Cambodia your way, with the leader in private Asia travel - GetAboutAsia. We also offer small group tours designed for a lower budget or solo travellers who still seek for an authentic experience! 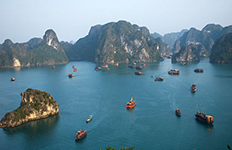 Contact your Asia Travel Expert now and create your personal itinerary! 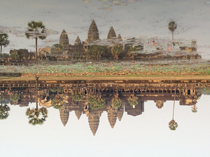 Travel from Phnom Penh to Siem Reap on this Classic Cambodia trip. 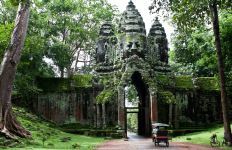 Starting in the riverside capital Phnom Penh, relax on the beaches of Sihanoukville and explore the fabled city of Angkor, eighth wonder of the world. 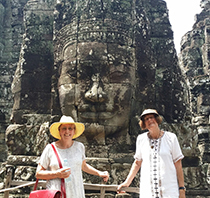 On this trip the whole brood will become acquainted with everyday Khmer life and traditions on guided city tours, cycling forays out into the surrounding countryside, visits to rural village homestays and explorations of World Heritage-listed Angkor Wat. 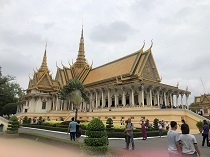 Phnom Penh is situated at the confluence of the Mekong, Tonle Bassac and Tonle Sap Rivers and is the most beautiful French-built city of the Orient. 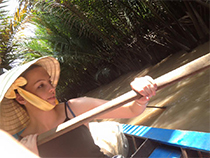 Explore the highlights of the city and visit the killing fields with your guide. 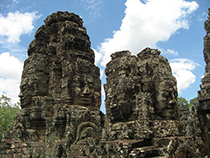 Angkor is the eighth wonder of the world and was once the spectacular ancient capital of the powerful Khmer Dynasty. 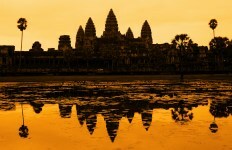 Explore Angkor's most impressive temples and watch the sun set over famed Angkor Wat in this unforgettable trip. 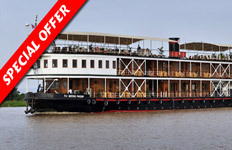 Jetset through Cambodia visiting the must-see attractions of Phnom Penh and Siem Reap in five days flat! 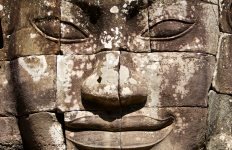 If you’ve got less than a week and you want to be whisked around without any fuss, this is the Cambodia itinerary for you.